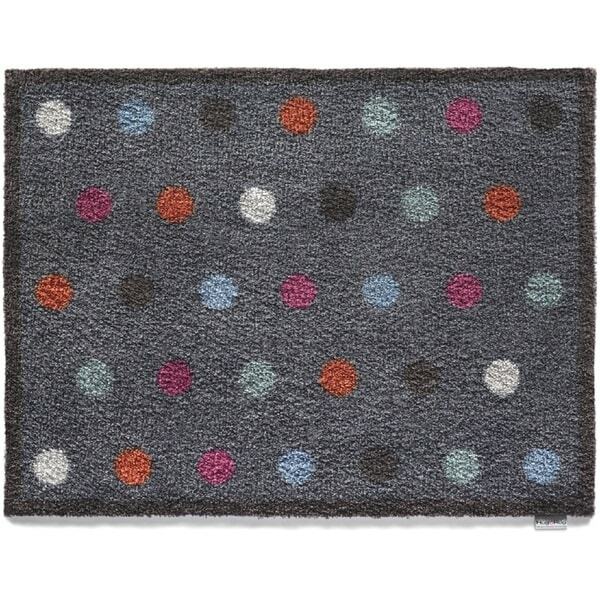 With the spotted blue accent rug on your porch or in your entryway, you'll never need another barrier rug again. Trap 95-percent of all dust, mud and dirt with a cotton and rubber construction that soaks up moisture to keep your carpets and floors clean. This rug features a blue color that coordinates well with existing decors. Muddle Mat Wide Check-patterned Nylon Runner Rug (20" x 59") - 1'8" x 4'11"